Missing teeth can be more than just embarrassing or troublesome - they can bring about a variety of health problems as well. They may add to misalignment of other teeth, receding gums, or bone loss. Fortunately, Windsor patients have the opportunity to prevent these issues through a number of tooth-replacement procedures, including dental bridges, partial dentures, or dental implants. Unlike bridges or dentures, which rest on top of a patient’s teeth and gums, dental implants are secured down into the jawbone just like the roots of a real tooth. After consulting a cosmetic dentist, some patients find this to be the best, most practical option for them. If you are a candidate for dental implant surgery, please consider the following tips for making the most of your implants. Since a dental implant is secured within the patient’s gum and bone, these areas must be strong enough to support it. Good candidates for implants have healthy gum tissue and adequate bone in their jaws. If you are hoping to replace a lost tooth, be especially vigilant in cleaning the surrounding teeth and gums. Watch what you eat and drink: For the first two weeks, very hot drinks may inhibit the implant’s bonding process. Also try to avoid hard or sticky foods, which may unnecessarily pull or push on the implant. Healthy, nutritious foods that are easy to chew will benefit the implant’s ability to fuse after operation. Maintain excellent hygiene: Keeping the implant and neighboring teeth clean will promote healing in your mouth and jaw. For the first two days, avoid brushing near the implant. Thereafter, clean the teeth twice daily, just as you would a natural tooth. Using a soft-bristled brush and being gentle with floss are best, while use of an electric toothbrush should be temporarily suspended. Speak with your dentist about which variety of toothpaste and mouthwash to use. Avoid exercise and alcohol for the first week: Strenuous physical activity, such as exercise or sports, can result in bleeding near the dental implant during the first week. Similarly, avoid alcoholic beverages during this time, as they can interfere with the healing process. It’s best to consult your dentist regarding when to resume either of these activities. Avoid smoking: To increase the success of your surgery, do not smoke for two weeks before and two weeks after the procedure. Smokers in general may experience a less successful implant experience, and are advised to quit completely to better their chances of retaining strong dental implants. 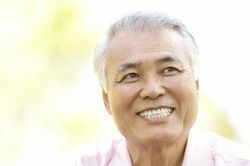 Once the dental implant has properly fused, a permanent crown or another restoration will be fastened to permanently replace the missing tooth. At this point, patients should treat the crown no differently than a normal tooth. Proper hygiene and regular dental visits are vital to retaining the longevity of an implant. Restorative dentistry is not just a matter of looking good; it allows patients to preserve the health and functionality of their teeth. When considering dental implants, it’s best to consult an experienced dentist to determine if they are right for you. Dr. Lipman have been delivering quality dental care for over 25 years, using the best technology while providing a comfortable, welcoming atmosphere. Contact us to set up an appointment and see how we may best serve you.